At fifteen he was bound apprentice to an uncle at Birmingham ; but for manufacturing or mercantile life his nature was all unfit, and at seventeen a painful incident closed his connection with it. He was one day sent to purchase some stamps ; his mind was not suffciently intent on the transaction, and the stamp-seller made a mistake in giving him change. His relative accused him of being something worse than merely negligent in the matter. The stamp-seller was—we won't say what—but, in defence of himself, became the poor boy's accuser, and as the boy had no means of clearing himself against such odds, he became hot with rage at the injustice, and then chilled. He somewhere says that his uncle, without one muscle of his face being disturbed, told him to "go to business" and that he then felt as if his "heart had become a ball of ashes." He was afterwards sure that his uncle believed him innocent, and that he ought to have said so, as it might have saved him from years of misery ; but the grievance rankled, and shortly, breaking the tie of his apprenticeship, he ran away. Ran away ! And the soul that was too sensitive for a Birmingham counting house soon found itself enslaved on board a ship of war ; for at Liverpool he was kidnapped by a press-gang, and went to sea, where, says biographer, Mr. John Fowler, "he was occasionally engaged in skirmishes and battles, and passed through many strange adventures consequent upon his seafaring life." In the meantime opportunities had occurred of seeing something of the stage. He had learnt to study Shakespeare for himself; and (though long after he had left the navy) we hear of him in the West Indies as an actor and manager of several theatres. "By this profession," adds Mr. Fowler, "he there earned a brilliant reputation, with a prospect of great pecuniary success, when untoward circumstances destroyed his hopes. He married a lady of great beauty and talent, and anticipated a life of domestic happiness ; but the marriage was not fortunate, and his promised joy proved his certain misery. They had one son, of whose fate I am ignorant. His desire for change of scene returned — if it had ever left him — with the departure of his heart's dear hopes. He was without house and without home, and roamed all the world over. He was acquainted with all classes of society, as well as with all coasts of country ; and was subjected to all manner of vicissitudes. He became, emphatically, A wanderer." The following incident will give some idea of the character and distance of his wanderings. Being one morning (it was in 1845) at breakfast with Mr. Flower, late mayor of Stratford-on-Avon, I happened to ask him if he knew anything of Charles Reece Pemberton. " Pemberton," said he ; "Certainly ! When we were residing many years ago in the back woods of America, he one day dropped into our log-house as by accident ; but he staid with us a month, and we should have been glad could he have staid longer—such a God-send to us there was the visit of such a man. But he has been with us since in Stratford-on-Avon." It does not appear very clear when he returned to England ; but in 1832 he was lecturing and acting in some of the provincial towns, when Talfourd (afterswards Judge), then on the Western Circuit, saw him perform at Hereford, and was so influenced by his representations of Skylock and Virginius, as to speak of him in terms of high admiration in an article in the New Monthly Magazine. This led to his appearance at Covent Garden, when London criticism on his performance was as various as London criticism was sure to be ; but in glancing back it is easy to see that the papers most remarkable for independence and taste spoke most warmly in his praise. Still, he did not long remain on the London boards--one reason for this being (as I have heard it stated, though I doubt its accuracy), that, in some stage "passage at arms," he was so absorbed, soul and hand, in his part as to forget altogether for the moment that it was play, to the serious hurt of the opposing actor. Whatever the cause, he seemed thenceforth to prefer the platform to the stage, and appeared in various parts of the kingdom as a lecturer on elocution and the drama. He had also become a contributor of his celebrated " Pel Verjuice" and other papers to the Monthly Repository, edited by Mr. W. J. Fox; and it was about the same time—I think in 1833--that he first made his appearance amongst us as a lecturer, at Nottingham. Before this time he had himself written several dramas, which maybe read in the volumn of his "Literary Remains." They are, "The Podests,” a tragedy ; "The Banner," a tragedy ; and "The Two Catherines," a comedy. Methinks I see him---and hear him—now. In the whole range of a not very limited acquaintance with men, I have never met, to my notion, with one so Protean. He possessed somewhat extraordinary powers of ventriloquism, corresponding with and equally varied play of the facial muscles, a lithesomeness of frame that answered freely to both, and altogether to a rapidity of conception and vividness of imagination that one usually attributes rather to incorporeal genii than to mundane men. As I have already said in "The Peak and the Plain," and cannot say anything more to the purpose now, Pemberton, in his readings gave not only all that was worthy of his author, but so threw around the subject the light of his versatile genius, as to enkindle your own, —to awaken, ' the Shakespeare within you,' should it be one of Shakespeare's dramas - in such a way as to make all machinery, scenery, adventitious aids of any kind, quite needless. You felt and saw the poet's entire conception represented in all its vast and varied relations. Upon his simple platform, in the lecture room, with no machinery but a chair, no drapery but a plain scarf, and none to second • him but the ventriloquial spirit within him, he would go through all the best passages of Hamlet, and afterwards through some complicated comic entertainment, with more effect upon a tasteful auditory than could have produced by any large company of performers because there was nothing out of keepting with his idea of the piece – no marring by imperfect supporters – though not one material point of interest would be omitted. His sudden change from some great hero to an old woman afflicted with tooth-ache, in a large lone house, on a wind night with two or three drunken fellows coming home late, and making a disturbance at the door, and all this without any other addition to the resources first-mentioned than his pocket-handkerchief – was probably one of the most magical transitions ever seen. Yet, what is remarkable – in all this, or out of it – you never thought of him as a mere player. Free alike from the professional stalk and talk of the stage, his bearing manner, tone, everything about him, bespoke at once the dignity, integrity, and kindliness, as well as the amplitude and versatility, of his soul. Besides several lectures on some of Shakespere's greatest characters—of which I remember "Hamlet," "Lear," and “Shylock" best—he gave us some pleasant lectures on, and readings from , popular writers of the day. Indeed this lectures on Social Readin, with examples were perhaps as interesting as any. But his influence was by no means confined to the lecture room. Wherever he was a guest, the longer he staid, the more he was loved by all, for his bon homme, his pathos, wit, and fun. His racy anecdotes, his graphic descriptions, and his characteristic representations of people he had met in every part of the world, afforded an inexhaustible source of entertainment ; and of one of his of a remarkable rencontre he had with an old Indian chief, I deeply regret it is not in my power to give even an outline at all worthy of the subject. A description he also gave of an American camp meeting, and his portraiture of one of the preachers, it would be equally impossible adequately to follow him in. It was rich and rare in the extreme. One day while in Nottinghamshire he took a stroll, with Willaim and Richard Howitt, to Annesley Hall, the sometime home of Mary Chaworth, and on the way they called at Hucknall Torkard Church to see Byron's tomb, where many years afterwards I read in the Album there, the autograph of " C R Pemberton, a Wanderer ;" but though "wanderer" he felt himself to be, be made that walk a hundredfold more interesting to those tasteful and thoroughly-appreciative companions, by the cheerful life and soul he put into the conversation as they went along. Sometimes he would foot it alone as far as the grand old remnant of Sherwood called Birkland, where to this day hundreds of oaks remain, the youngest of which will be six or seven hundred years old—and where some of those which have been felled had King John's cypher deep under the bark. He on took such a walk London, between the two lectures he was delivering to one of the metropolitan institutions, called in Nottingham by the way, and afterwards published a most original and beautiful description of the old wood (in the Monthly Repository for June, 1834), in which he calls it "a ruined Palmyra of the Forest." But at Sheffield, as well as Nottingham, was Pemberton a frequent and welcome visitor. In all his wanderings there were few places in which he felt more at home ; for Sheffield (like old Nottingham in that respect) had a circle of the very people for understanding and loving such a man. Dwelling there in those days was a genial large-hearted Scotchman, John Bridgeford, who had formerly been a typographical employe of James Montgomery, and was now co-proprietor as well as co-editor of the Iris. Mr. Bridgeford's literary power was not great ; but he had the next great power, that of thoroughly appreciating it in others, and making them mutually known. It was quite enough for any intellectual stranger to find him out, and be instantly made no stranger at all to men of like mind in Sheffield. Whether it was owing to this, or to other introduction, I am not clear ; but I do know that there were few men anywhere to whom Pemberton felt more attached than to Bridgeford, while, as time went on, almost every person of mind and taste in the town and neighbourhood had begun to regard Pemberton almost as a kinsman ; and I had the assurance from Mr. Fowler that his friendly regard for me sprang first from manifest reverence and love for the Wanderer. 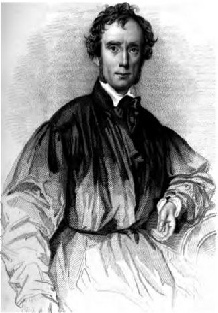 Between his return from Gibraltar and the autumn of 1838, Pemberton had been able to give a few lectures at Birmingham, Wisbeach, and Sheffield. Of his first lecture, on this occasion, a correspondent of the Independent said :- “When he stepped upon the platform there was a tremendous outburst of cheering, which speedily sank into a subdued manifestation of welcome. What a change had come upon him ! He was but the shadow of himself ; his manly bearing and his free action were gone, and in their place had come the stooping gait and the feeble walk. But oh ! what a tale of suffering was told when he opened his mouth and spoke. His voice, which had been sweet as the lute, and loud as the trumpet, had become weak, cracked, and discordant ! And there was the dreadful cough, that appeared to be everlastingly tearing at his heart strings ! Well, but he did speak ; and wonderful to behold, as he gradually advanced he got the mastery of his infirmities. The subject of the evening's lecture was Brutus, in Julius Caesar. He brought out, one by one, the beauties of the character, and when he made it appear, as it really is, a glorious specimen of the best qualities of human nature, he held it up for admiration and instruction, Pemberton was no longer the man he had been some short time before,—he had left all his own weaknesses and entered into the loveliness and truth of Brutus. The illustrated passages were given with the delicacy and power of former times. It was life in death, and showed how the vigorous soul can impart energy to the wasted body. He lived on, however, for nearly a year and some portion of which he passed at the Pyramids, then returned and died, at Birmingham, in the house of a brother, whose daughters (one of whom was afterwards married to Anthony Young, the actor) kindly tended him to the last. I have heard it said (I think it was by Edward Robinson, who married another of his nieces) that Mr. G. J. Holyoake (then a very young man) was often with him in his closing days, and that one day Pemberton asked him to read a passage he pointed out in the New Testament—a passage gave him a solace beyond his power to express--after which Holyoake read a favourite passage from Shakespeare, asking Pemberton what he thought of it when he replied with some emotion, "Fine, very fine! but (pointing to the Testament) not like that." WHO DIED MAR 3, 1840, AGED 50. In its diversified and harmonising powers. "The hate of hate, the scorn of scorn, The love of love ! "